The Sitka Local Foods Network will begin accepting Quest and debit cards for the purchase of locally grown and made products during its fourth Sitka Farmers Market of the summer, from 10 a.m. to 2 p.m. on Saturday, Aug. 18, at Alaska Native Brotherhood Hall (235 Katlian St.). 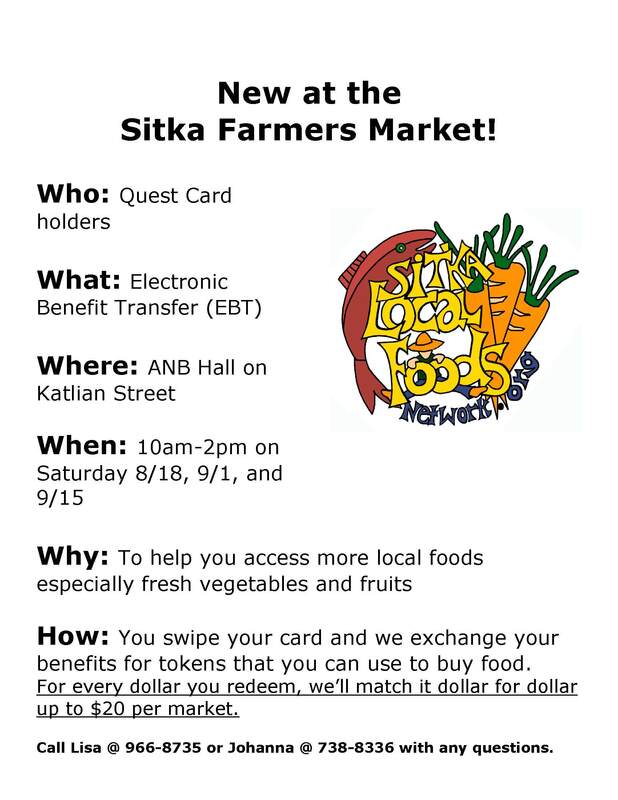 The Sitka Farmers Market received funding from the Alaska Farmers Market-Quest Card Program to purchase a wireless card reader, also known as an EBT (electronic benefit transfer) machine. The EBT machine allows Quest customers to use their food stamps and TANF (Temporary Assistance for Needy Families) benefits to purchase fresh, local food at the market. The EBT machine allows customers to use their regular debit and credit cards to purchase food and other items, such as locally made crafts. Many farmers markets have accepted food stamps, TANF benefits and WIC coupons for produce for several years, but in recent years all 50 states stopped using paper coupons and started using electronic transfers for their benefits (putting them on plastic cards that work like debit/credit cards). Since most farmers markets do not have access to electricity and phone lines during the market, they now required a wireless machine to handle these benefits. This system is expensive and difficult for most farmers markets to offer, so the use of food stamps and other benefits dropped dramatically. 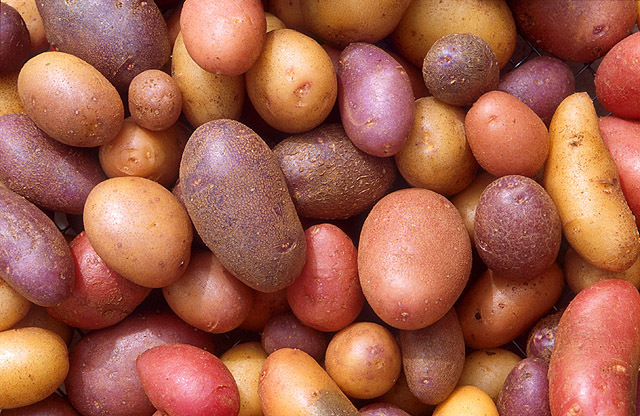 The goal of the Alaska Farmers Market-Quest Card Program is to help the markets be able to purchase a machine so they can continue to offer fresh, local food to low-income Alaskans and offering another payment option for other residents. The Sitka Local Foods Network will match dollar-for-dollar up to $20 of Quest card benefits so people using Quest cards have access to double the produce at the market. 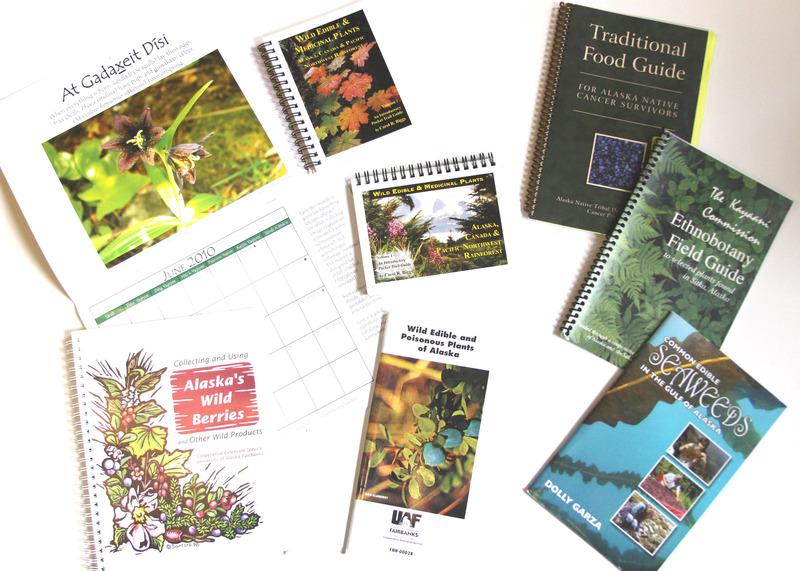 To use the Quest cards or your debit card at the Sitka Farmers Market, look for the Information Booth inside ANB Hall and let the staff person know you’d like to use your card at the market and how much you plan to spend. The staff person will swipe your card through the EBT machine, have you enter your PIN, then provide you with Quest and Debit tokens in the amount you requested (there is a $2 service charge for debit card transactions). Look for vendors with signs saying “Quest and Debit Tokens Accepted Here” (some vendors only accept Debit tokens). Quest customers can purchase foods allowed on food stamps, such as fruits and vegetables, bread, meat, seafood, honey and jam. Food and beverages meant to be eaten right away, such as sandwiches and hot coffee, cannot be purchased with Quest tokens. Debit card tokens can be used to purchase anything offered at the market. If you do not spend all of your tokens, you can save the remaining tokens for the next market or take them back to the Information Booth to be credited back to your card (credit can only be given for tokens purchased that day, and for no more than the amount purchased that day). Debit card users can return their unused tokens, but another $2 service fee will apply for the transaction. 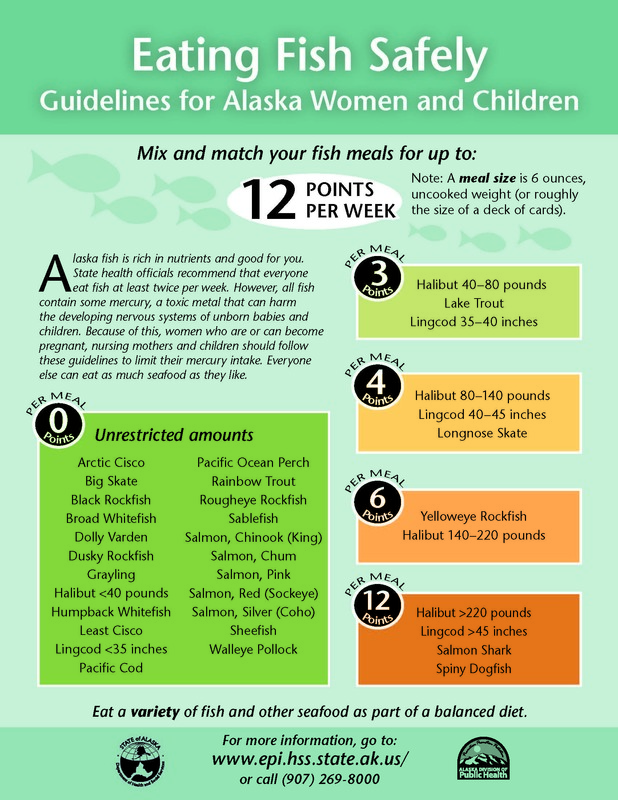 This project is a collaboration of the Alaska Department of Health and Social Services Divisions of Public Health and Public Assistance, the Department of Natural Resources Division of Agriculture, the SouthEast Alaska Regional Health Consortium (SEARHC) Health Promotion Division, and the Sitka Local Foods Network. 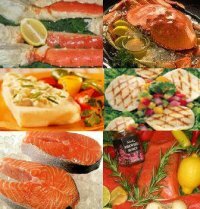 For more info about the Alaska Farmers Market-Quest Card Program, go to http://www.hss.state.ak.us/dph/chronic/nutrition/farmersmarket-quest/default.htm. For information about the Alaska Quest Program, visit http://www.akquest.alaska.gov/. 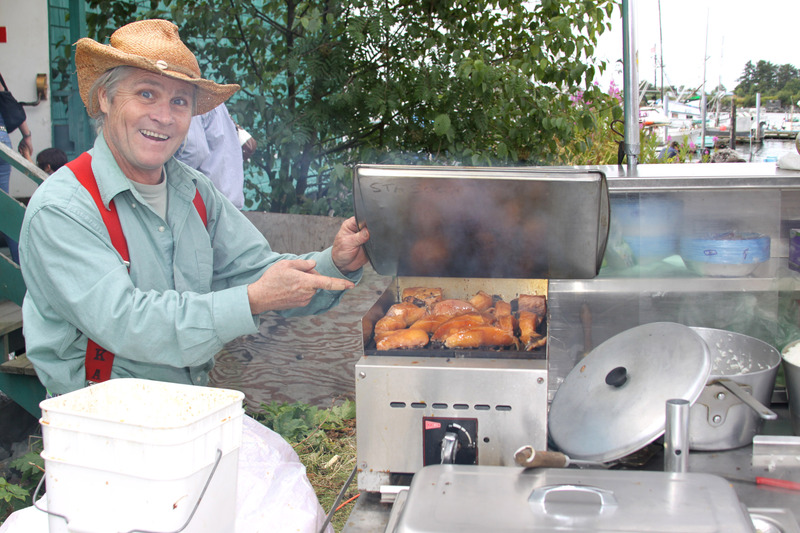 For info about the Sitka Farmers Market, go to http://www.sitkalocalfoodsnetwork.org/. Vendors wanting to sign up to accept Quest card and debit card tokens can contact Sitka Farmers Market Manager Johanna Willingham at johanna.willingham@gmail.com or 738-8336.